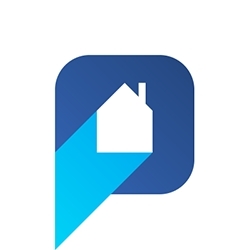 PWS was born out of my love for home improvement and a desire to create a one-stop shop for home renovation and repair. My background is in Electronics, and shortly after finishing University and starting a full-time job, I managed to save enough cash to buy a flat in Abingdon, Oxfordshire. Abingdon is a lovely old market town, and the flat was part of a converted grade II listed building. Although this gave the property plenty of charm, it also meant that it came with problems to fix, including plumbing and heating issues. As money was tight at the time (I'd just invested my life savings! ), I needed to take on some of these issues myself, and in the process got hooked on home improvement. Only six months after buying the flat, my career in Broadcast Technology took me to Montreal, Canada. Luckily, I had no problems renting out the flat, and after three years of living in Canada, I decided to buy a 'condo unit" in Montreal. At this point, I added property investment to my long list of interests. A few years later, I moved again and bought a house in Toronto, this time with my wife and two-day-old son in tow. While the house was in a livable condition, it needed a lot of work, which my wife and I undertook ourselves, building on the skills I had learned in Abingdon. After returning to the UK to work on a project for BBC Wales, I bought a small one-bed flat in Llandaff, Cardiff. The property was in a bad state after being neglected since the 1980s, but it was in such a great location, I knew it had bags of potential. Using my now extensive knowledge and experience of home improvement, I transformed the Llandaff property into a modern day one bed flat. See the images here for a taste of how the property was transformed in just over four months. The Llandaff flat was added to my portfolio, and I returned to Toronto for a new challenge. Having spent several years building websites, I thought it would be interesting to combine my two passions and develop a property investment blog. This idea took hold after hearing about the difficulties many millennials faced when trying to get onto the property ladder. However, I realised during my research that UK home improvement sites were surprisingly few, with most showcasing old designs or with hard-to-follow tutorials. I also noticed that a lot of these sites leaned more towards interior design, an important topic, but of no use if you need to strip out your property and start again. Enter Property Workshop. A team of DIY enthusiasts with plenty of expert, easy-to-follow advice on how to renovate your home. I hope you find our guides useful and entertaining, and that you will join our community and share your knowledge with others, via social media or by commenting on our blog posts. Good luck transforming your home, and don't forget to enjoy the process! 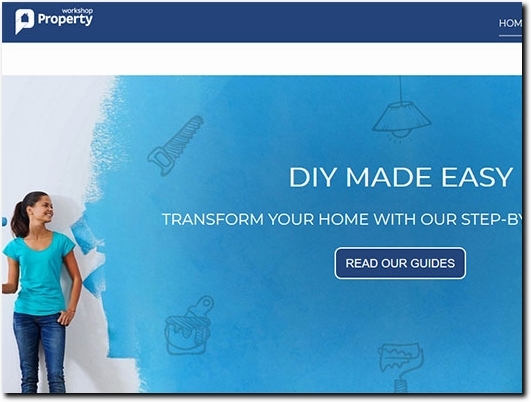 UK based business providing information and advice regarding DIY projects for the home. Website includes articles, contact form.